This funky vehicle straight out of a Dr. Seuss book is powered by your pedaling! Don’t worry though, Cycle Party is super easy to pedal. 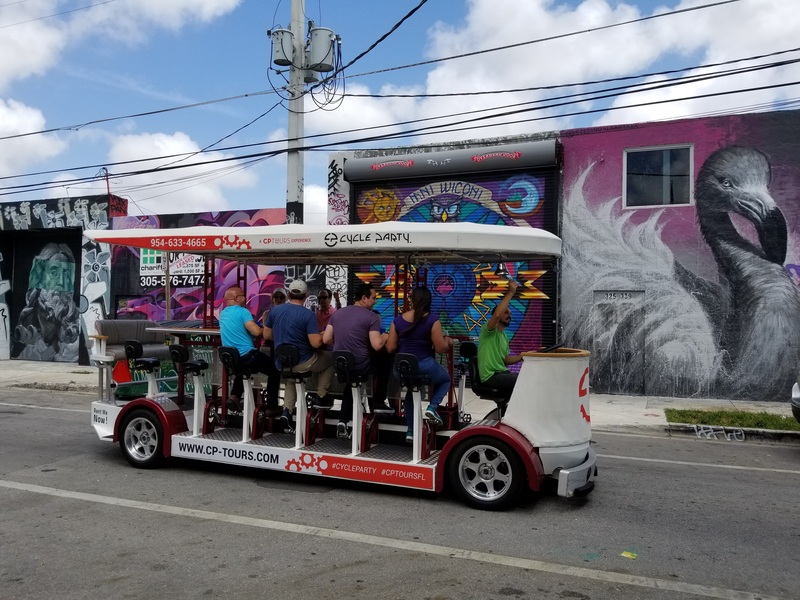 On this party bike tour, you get to check out the vibrant and quirky Wynwood neighborhood. Every corner of Wynwood is covered in massive murals, stylish street art, and awesome art installations. Each party bike comes with a Cycle Party guide, fun music, and informative art narration. There isn’t a better combination than the crazy Cycle Party and the wonderful Wynwood neighborhood.